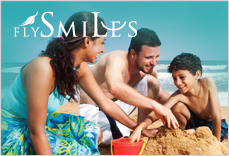 We Sri Lankans love our rice, and this isn't a newfound love; Sri Lanka was exporting its rice over 2,000 years ago. Historically, rice has formed not just a major part of our diet, but our celebrations, worship, culture, and even our mythology. And it does so even today. But the rice itself has changed. Andaré was the royal jester - the court fool who was no fool. He was in fact famous for his sharp wit, but also widely envied by the royal subjects who were jealous of his position close to the king. A farmer decided to challenge Andaré's legendary shrewdness, convinced he could best him and thus shame him in the eyes of all. The farmer owned a field, in the centre of which was a large rock. It was big enough to defeat the hundred strongest men in the kingdom, and the farmer announced that he would give a large reward to any man able to move it out of his field. There were no takers. Andaré, whose ego was second to none, accepted the challenge, but insisted that he be fed heeneti rice and turkey curry three times a day before he made the attempt. This was an expensive and sought-after meal at the time, but the farmer agreed to provide it, and a delighted Andaré tucked in. On the day of reckoning, a large number of spectators arrived to watch the court fool make a fool of himself by failing to lift the huge rock. Andaré walked across the paddy field to the rock and scanned the waiting crowd. Turning to them, he announced, "If anyone here can lift this rock and place it on my shoulders, I will then move it from this field as I promised." Of course, there was no one who could lift the rock, and since the challenge had been to move the rock and not to lift it, Andaré escaped losing the contest of wits, with three tasty meals of heeneti rice and turkey as his reward. The heeneti rice mentioned in this famous Sri Lankan folk tale was probably Kaluheeneti, a variety of rice endemic to the island. This variety of rice was once grown all across the lowlands of the country, and the magnificent irrigation projects engineered by the ancient kings of Sivhela were built to water what would become "the granary of the East". However, with the decline of the ancient kingdoms of Sri Lanka, this variety of rice dwindled and virtually disappeared, replaced with faster-growing imported varieties that yielded bigger and quicker harvests. 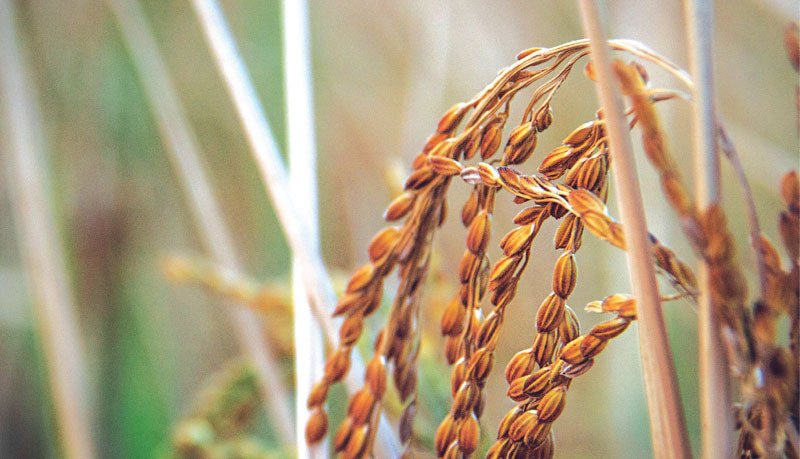 As Sri Lanka began growing rice on a commercial scale in the 20th century, there was no place for the endemic varieties. 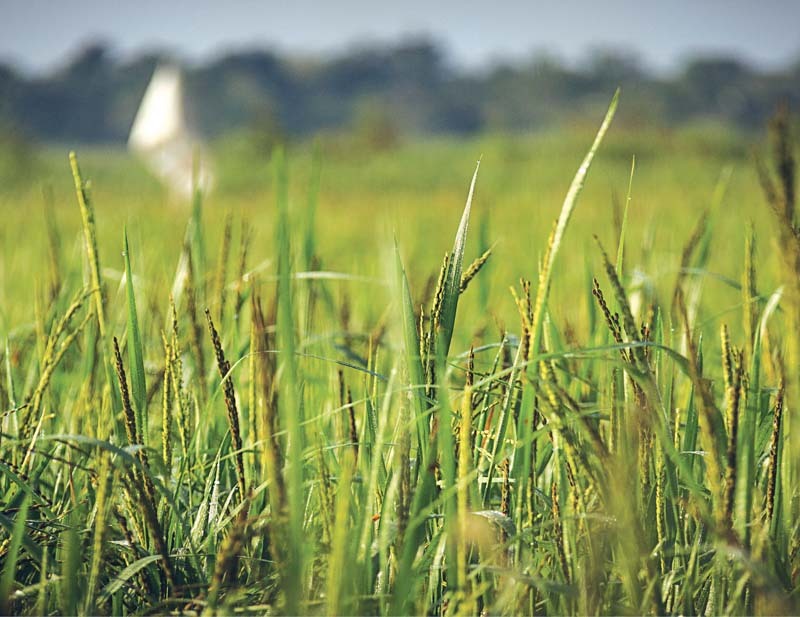 Industrial irrigation made the imported modern rice varieties easier and more profitable for farmers. The result of this commercialisation, however, has been an eventual glut in both the local and global rice markets. Small-time farmers in Sri Lanka have seen prices for their harvests plummeting, and with it their livelihoods. In addition, many of these farmers own and work land that is less suited for growing these modern varieties of rice; often their land is in drier, poorly irrigated areas, or conversely, prone to regular flooding, or on ground inaccessible to harvesting machines, thereby yielding poor harvests. 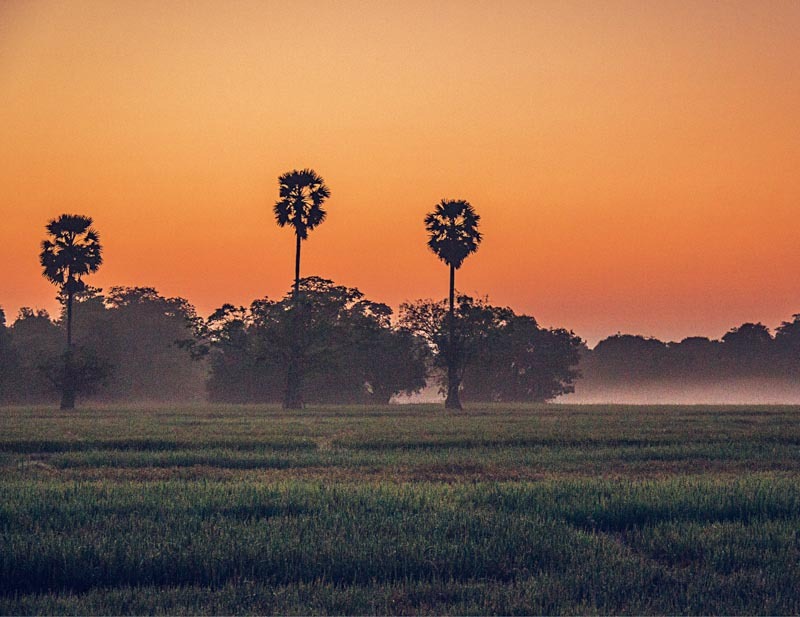 The land is perfectly suited to the hardier, endemic rice once widely grown across ancient Sri Lanka. Many of these varieties don't need artificial irrigation, being able to survive on rain alone, while one, Maa Vee, thrives even when its paddy fields are flooded. 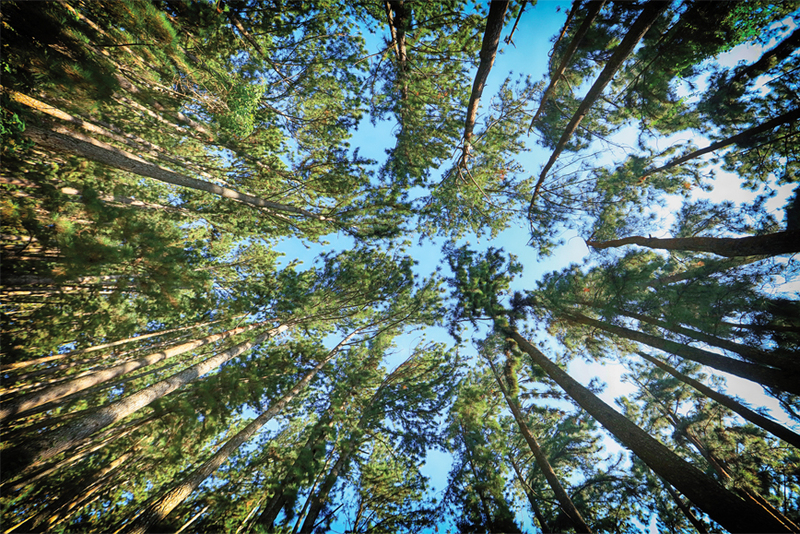 In addition, their resilience makes fertiliser unnecessary, and their characteristically taller stalks shut out the sunlight that nurtures weeds, doing away with the need for harmful weed-killers. 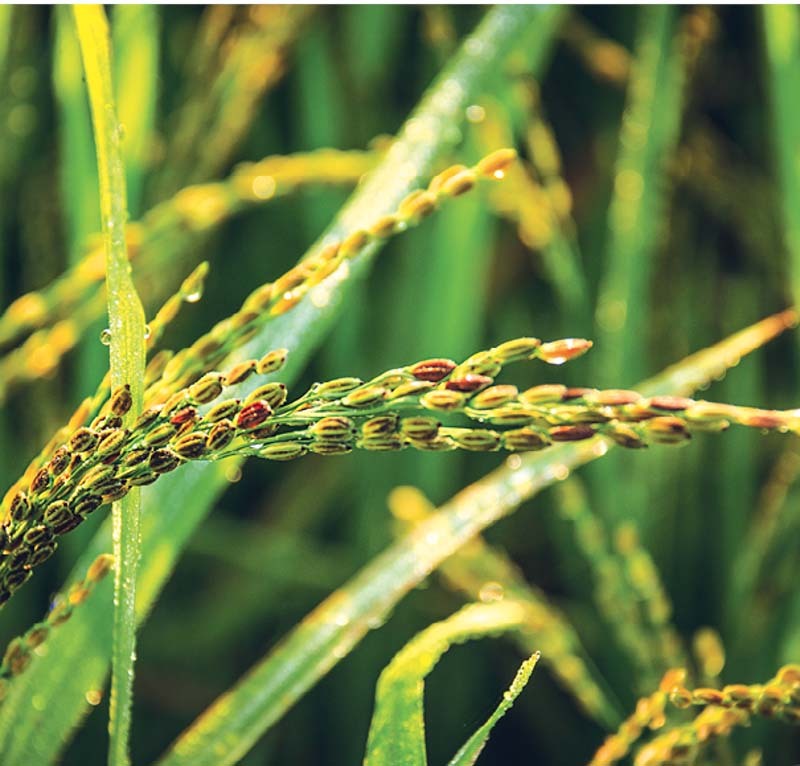 Thus, out of hardship has come a new opportunity, and new markets, sprouting with the renaissance in heirloom rice that had once disappeared from the country's paddy fields. 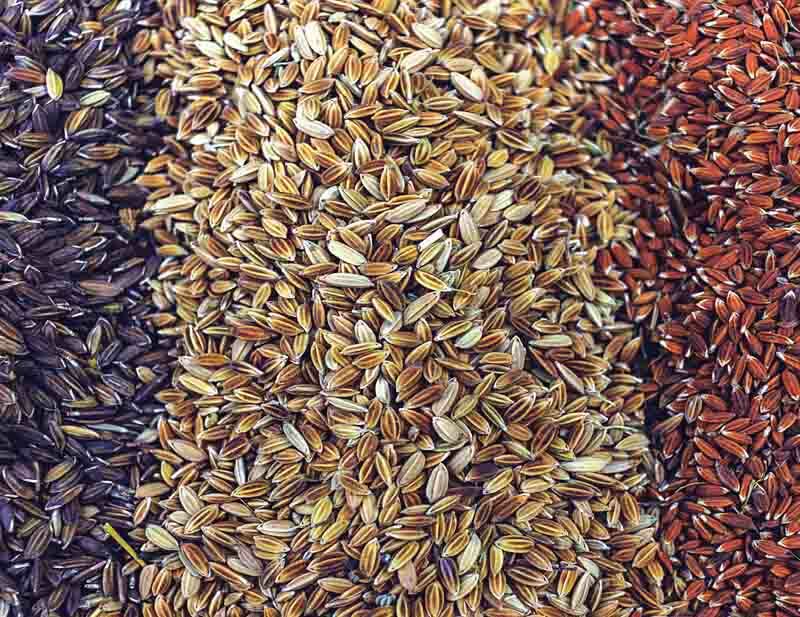 Of the thousands of varieties of endemic rice, the vast majority have been relegated to virtual extinction, their memories preserved in seed banks; but a dozen or so varieties have now found new life as a specialty product, sold in far smaller quantities, but at a premium price. This premium has made it possible for the small farmer to make a better profit from a smaller harvest, thereby greatly increasing the quality of his and his family's life. 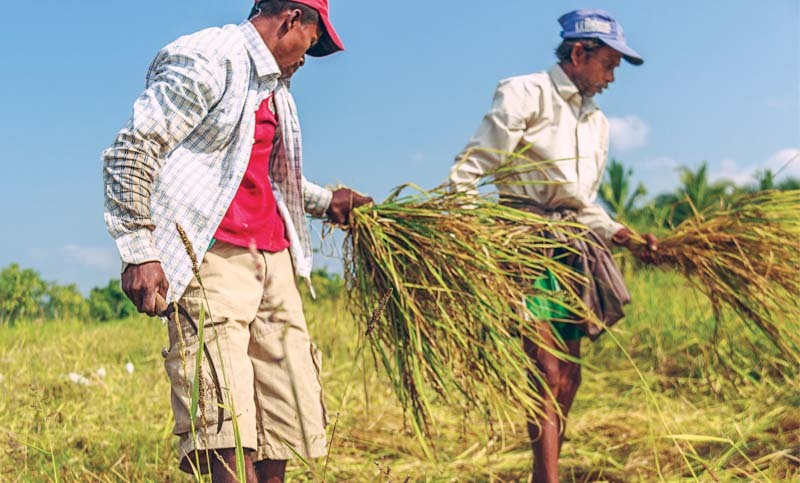 Non-profit organisations have spearheaded a drive to bring Sri Lanka's heritage rice back onto our plates, encouraging farmers across the country to return to the rice of their ancestors. 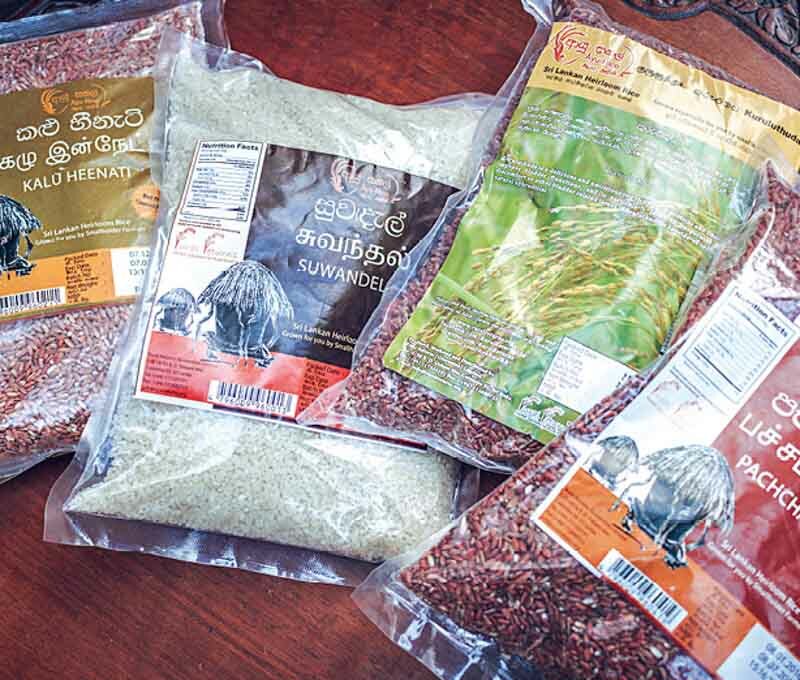 Many of these varieties of rice are now available in Colombo supermarkets. 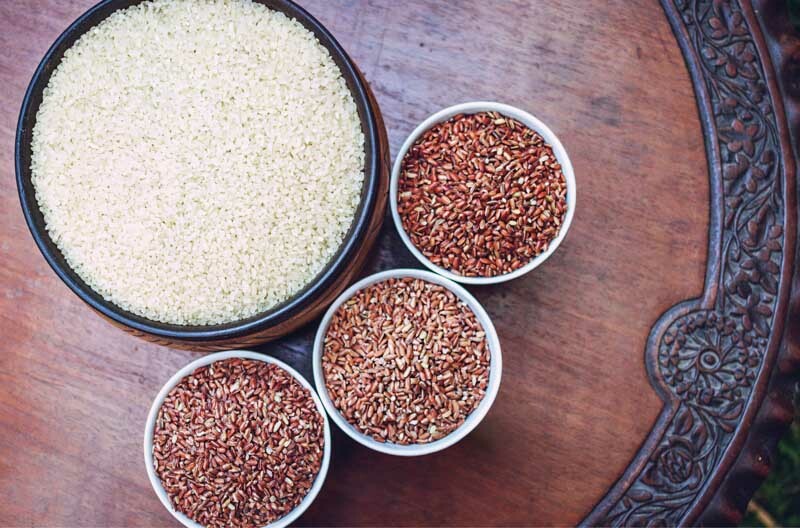 As with many of Sri Lanka's endemic plants and herbs, these heirloom rice varieties are steeped in folklore, and each one has a special place in the culture and practices of Sri Lanka's ethnic communities. Additionally, on average, these types of rice have double the dietary fibre, vitamin C and iron of regular rice, and 38 per cent more protein. Here are some of the types now beginning to return to Sri Lanka's dining rooms and ceremonies:Suwandel is a small-grained white rice which, in ancient times, was so prized for its exceptional aroma (from which it derives its name), taste and diverse medicinal properties that it was grown exclusively for royalty. With the lowest known Glycemic Index for rice, it is particularly suited for diabetics, but its exquisite milky flavour also makes it the first choice for kiribath, or milk rice, a major component of celebratory meals. Pachchaperumal translates as "the colour of the Buddha", and when cooked, takes on a deep burgundy shade. 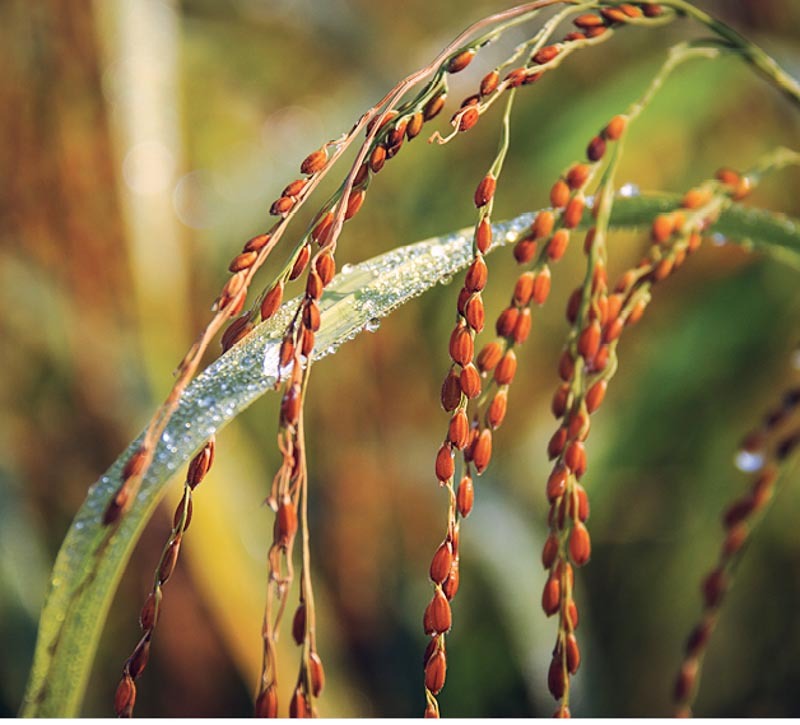 It is also known as the "warrior's grain", and its high quality made it the staple diet of the armies of ancient Lanka. Pachchaperumal is often the rice of choice at traditional alms-giving ceremonies where it is served to Buddhist monks who are forbidden food after noon and so need a filling meal that will see them through the day. 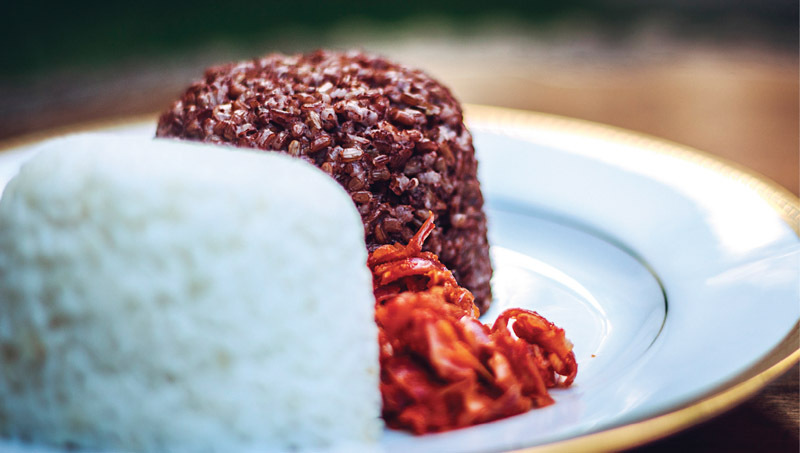 Kuruluthuda, or "bird's beak", from its distinctive shape, is a rich, red rice, high in protein and fibre, and famous for its aphrodisiac properties. It makes the perfect rice as part of Sri Lanka's legendary rice-and-curry. Kaluheeneti (of the Andaré story) is a dark red-black rice, well-known in traditional ayurvedic medicine for its anti-oxidant and detoxifying properties, and was particularly sought after by those suffering from liver-related illnesses. 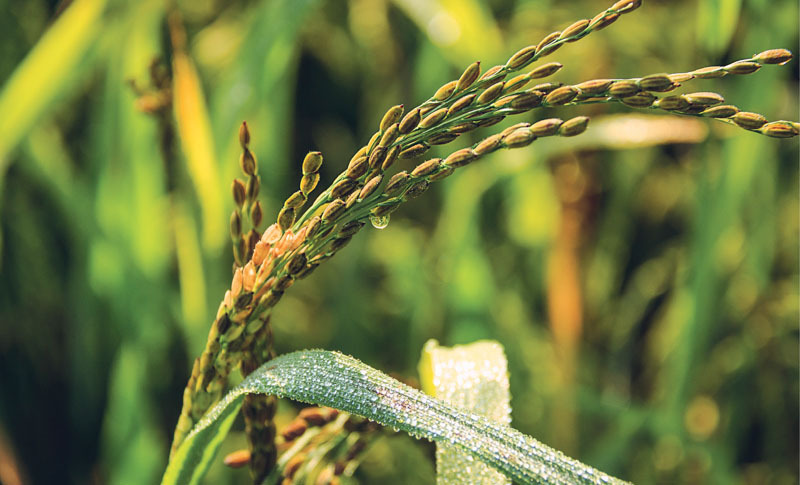 Maa Vee or "great paddy" is characteristically tall, often over seven feet, and can be grown even in fields where high floods would destroy modern rice varieties, making it the only viable crop for farmers working marginal lands. Maa Vee comes in both red and white varieties, and is low in carbohydrates and high in detoxifying properties. Perhaps because of its connection to water, Maa Vee must be soaked before it can be cooked. Legend has it that the ancient queens loved this rice because they believed it kept them slim and shapely. This quality might very well find Maa Vee a new niche market in the gyms and health food bars of Colombo. So when in Sri Lanka, try something different from the usual rice served at most mainstream restaurants and go looking for a meal that fed warriors and royalty (and court jesters) through the centuries - the fuel that fed the muscles that built the Ruwanweliseya and the Giant's Tank, and stormed the heights of Sigiriya. Information obtained from Rural Returns. Traditional kiribath, or milk rice, can be either an everyday breakfast or a ceremonial meal on auspicious days. Here, it is white Suwandel and red Kuruluthuda, served with its ideal accompaniment, lunumiris; a spicy onion relish. A mixed paddy field of Pachchaperumal from the previous season, and more recent modern rice shows off the heirloom variety's superior height.